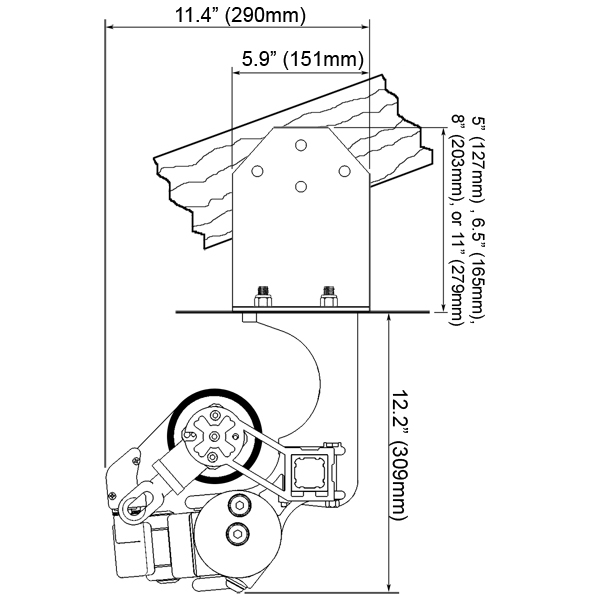 PHYSIQUE XL™ is a heavy duty awning system exclusively designed for 13'0" (4m) projection and has chain driven arms. 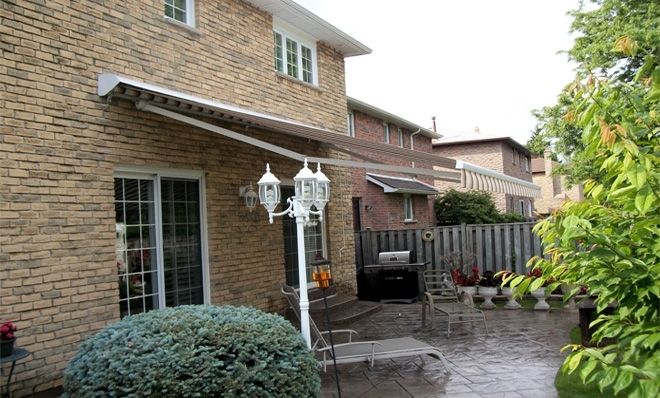 Every retractable awning model, while extended, experiences considerable mechanical loads, especially during windy conditions. 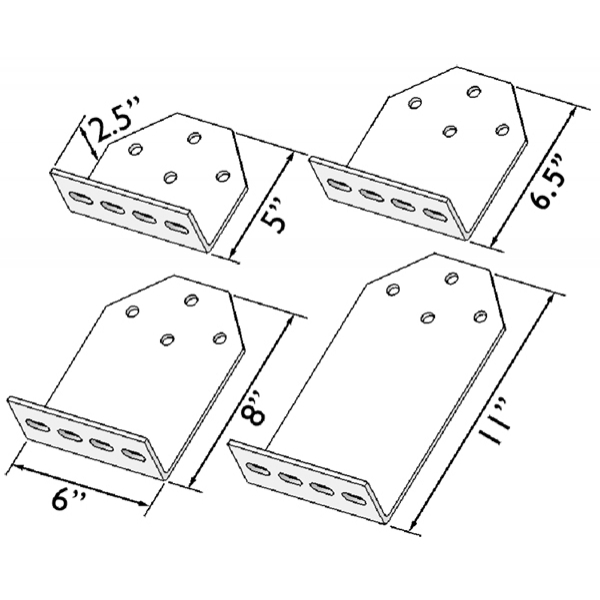 These loads become more significant for awnings with larger projections and in particular a 13'0" projection. The PHYSIQUE XL™ features exceptionally robust arm shoulders designed to handle the torque where the arm is connected to the square bar. 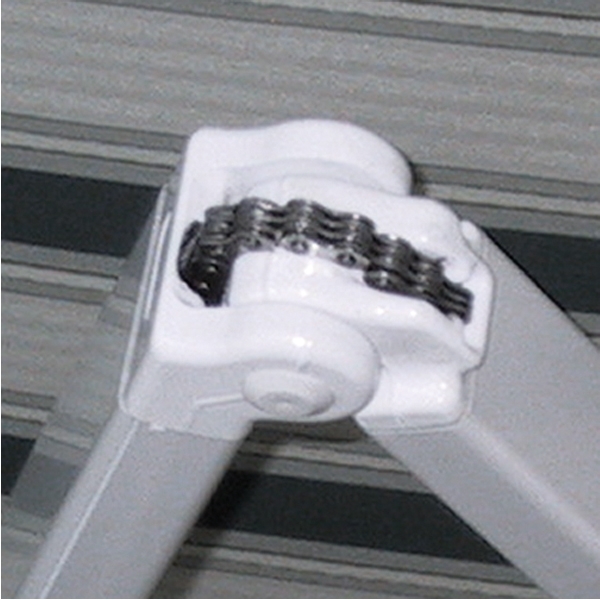 The model also features powerful lateral arms with rigid stainless steel chain links. 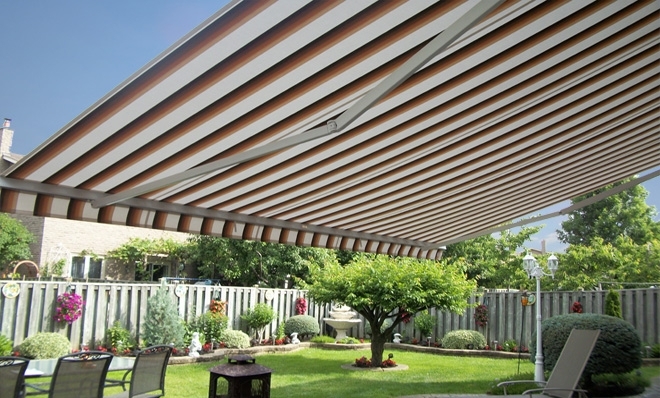 With its massive size, the PHYSIQUE XL™ awning is constructed using heavy duty reinforced profiles (front bar, arm profiles) and forged arm casts, adding strength and stability to the overall system. 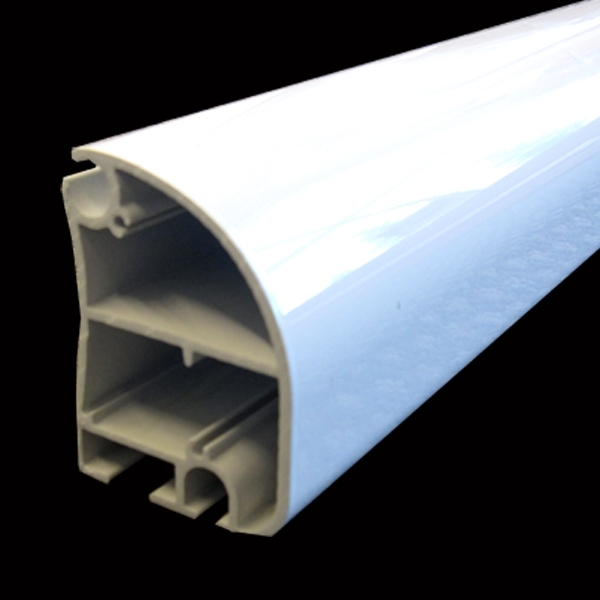 All parts are made of corrosion resistant materials and finished with a white powder coating. 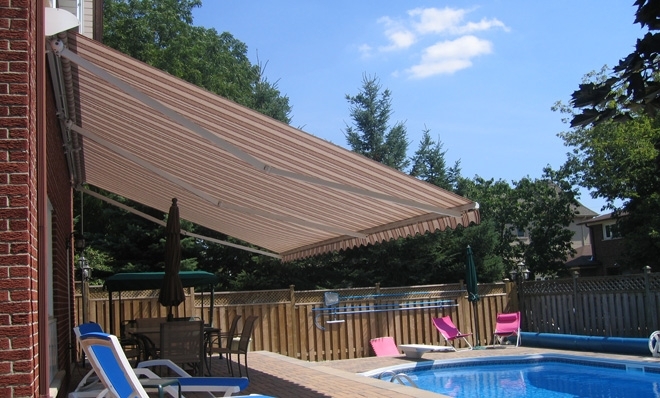 Each awning is manufactured to the client's specification with custom widths starting from 15' wide, and increases by as little as 1" increments. 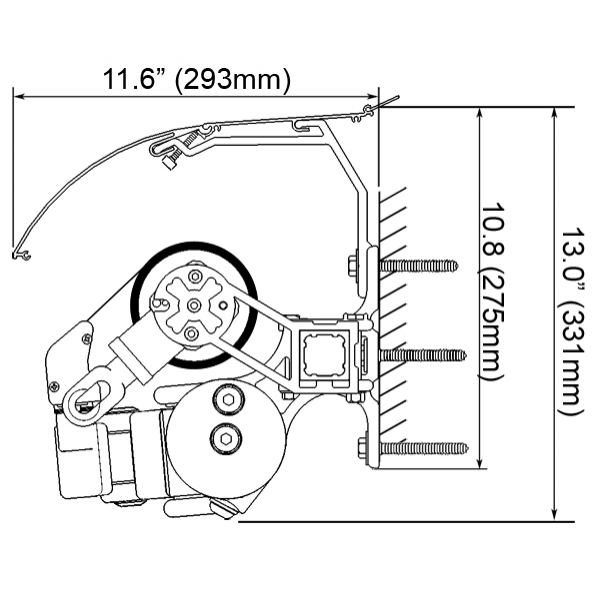 The PHYSIQUE XL™ frame is backed by a 5-year warranty. 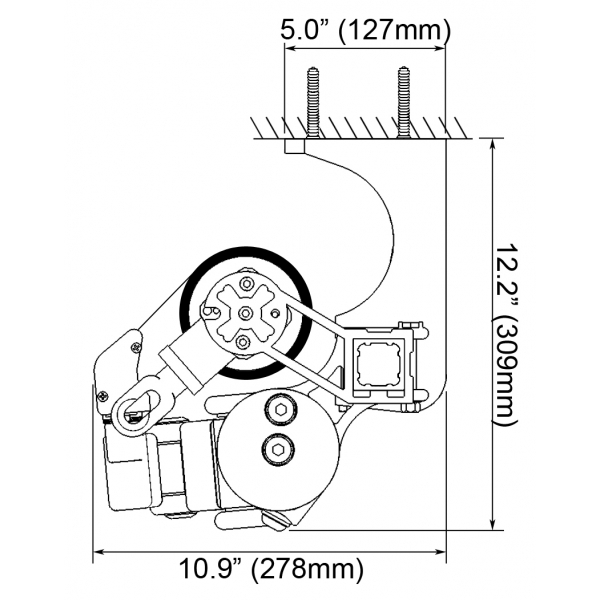 Extremely strong arm shoulders made of high strength extruded and die cast aluminum sustain the weight and tremendous torques associated with a 13' projection. 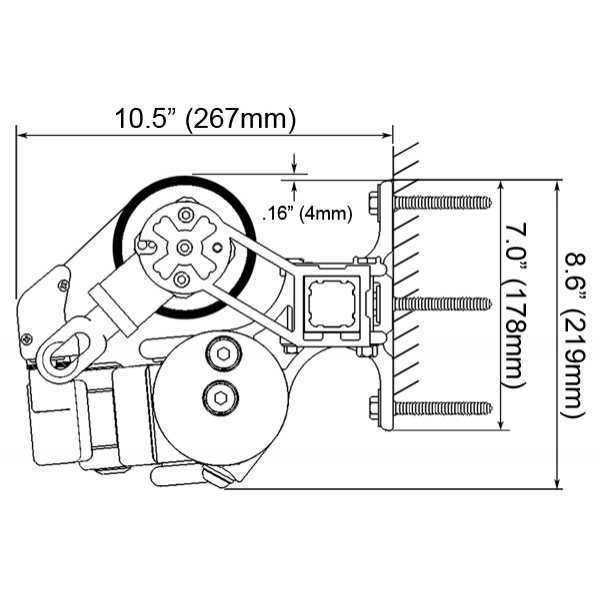 The PHYSIQUE XL™inclination can be easily adjusted using a hex key. 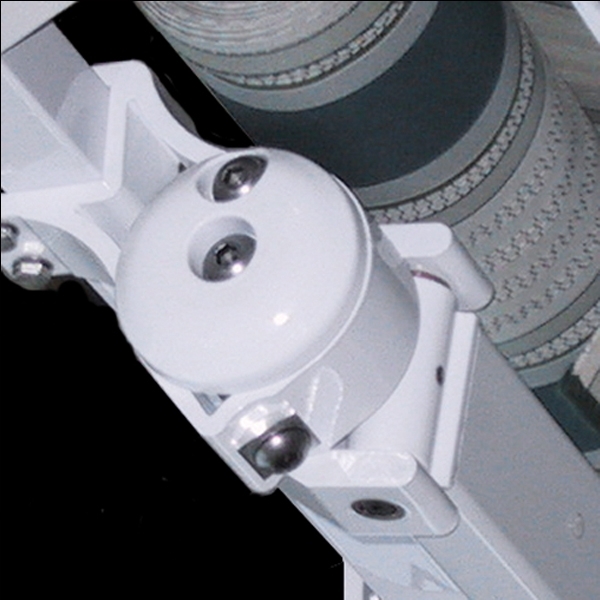 The PHYSIQUE XL™ arms are made from extruded aluminum profiles and forged elbow joints with stainless steel chains. 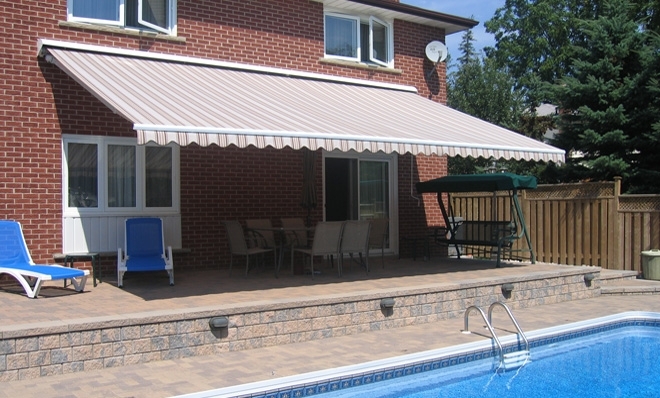 Powerful springs keep the fabric taut when the awning is extended. Self-lubricating bronze bushings reduce frictional wear and tear. 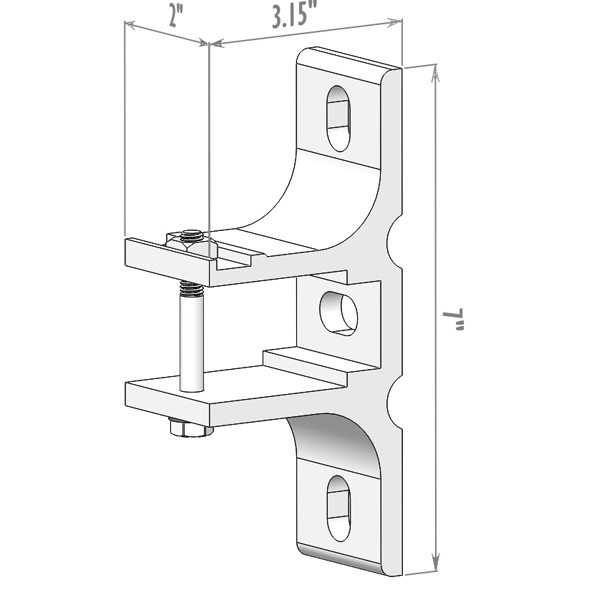 The fixing bracket is designed to maximize the range of motion of the arms where they meet the front bar. 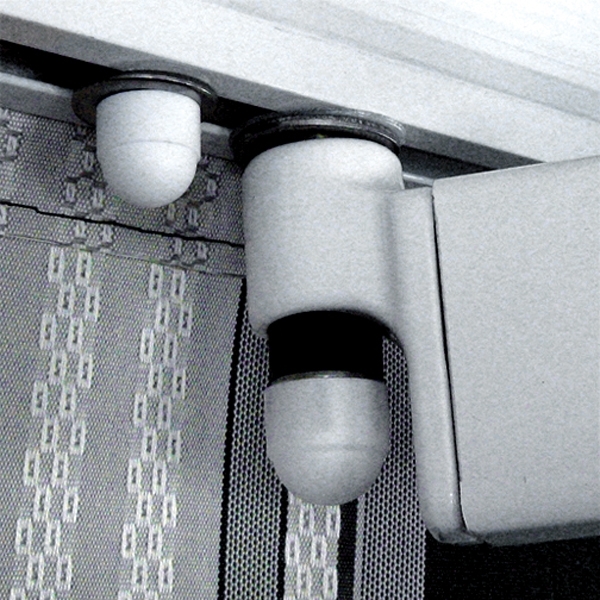 Rolltec®'s signature shock-absorbing parts help extend the life of the awning. 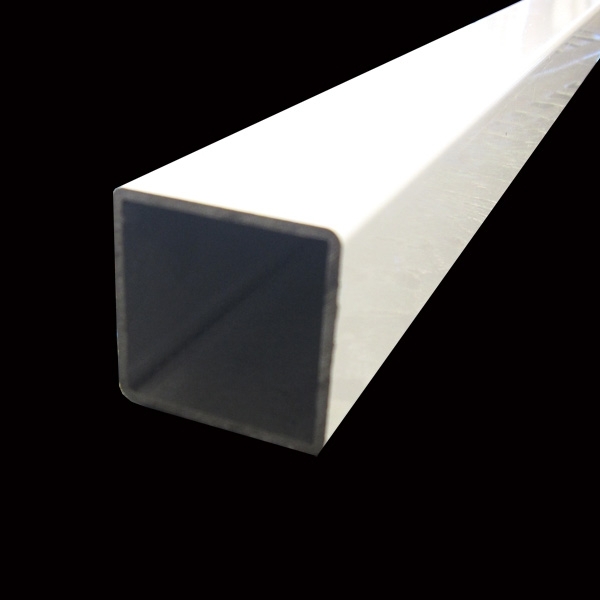 A strong, galvanized and powder coated 40mm square bar with 2mm walls. 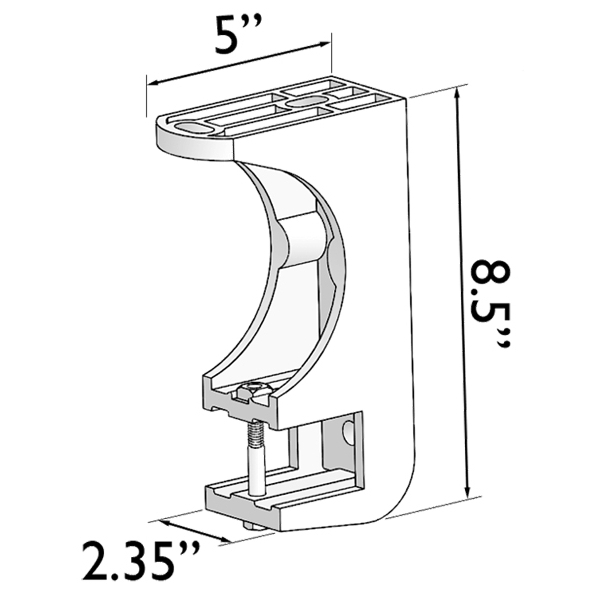 Rolltec® uses a structural galvanized steel roller tube with spring memory to re-bound to its original shape. 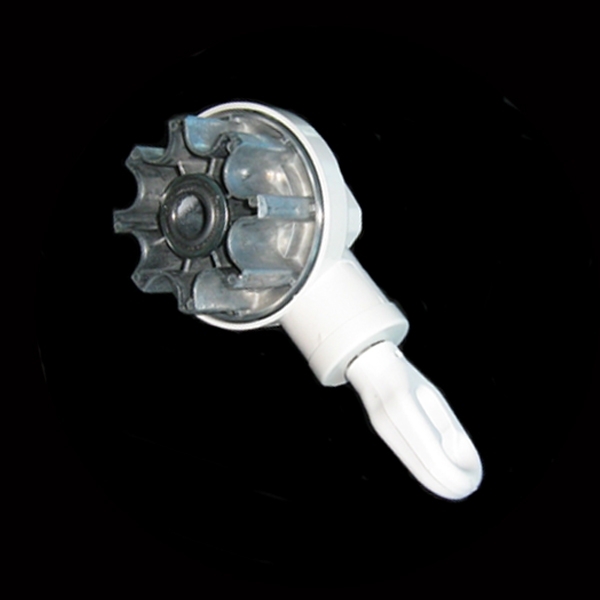 A speedy bevel gear with a 5:1 ratio for quick and easy use. 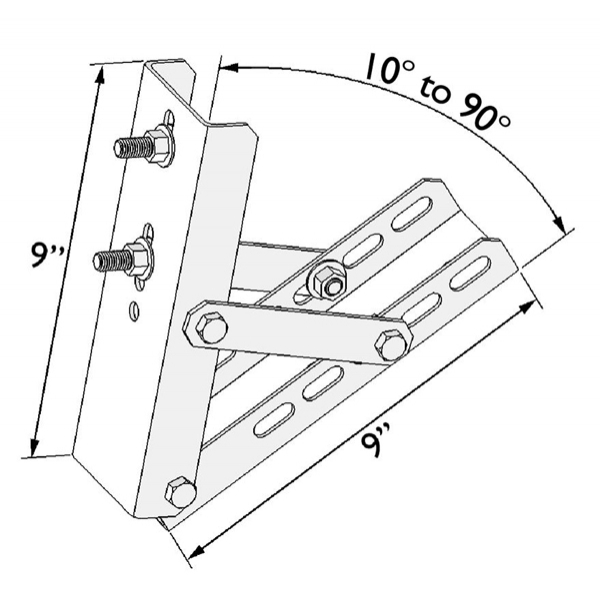 A special feature of this gear is the stopper that prevents the awning from rolling up in the wrong direction.